Ladies and Gentlemen, welcome to Nordic Business Forum Sweden 2019! The one-day event will focus on lessons in Leadership and Marketing, which are key to engaging an organization in an increasingly complex and competitive business landscape. Regardless of size or seniority, enterprises and people alike have something to learn from our experts. Our team has put together the following information to help you make the most of our event. Have a read of the information below, and let us know if you have any questions. 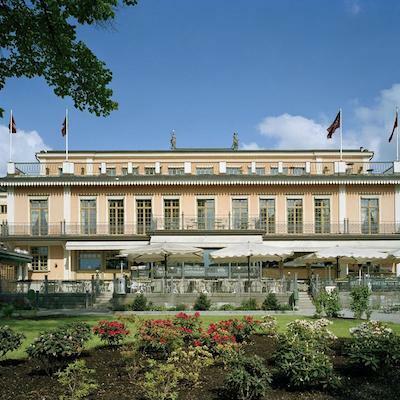 Here is our recommended hotel for your stay in Stockholm during Nordic Business Forum Sweden 2019. The four-star Hasselbacken Hotel is located right across the street from the entrance to the event venue, so it’s the ideal choice for your stay in Stockholm. Our event guests have a special room rate at this hotel – book your room using the code NBFSWEDE19 to get 20% off the FLEX rates. To redeem this offer while rooms last, you will need to include this code in an email the hotel with your reservation request. 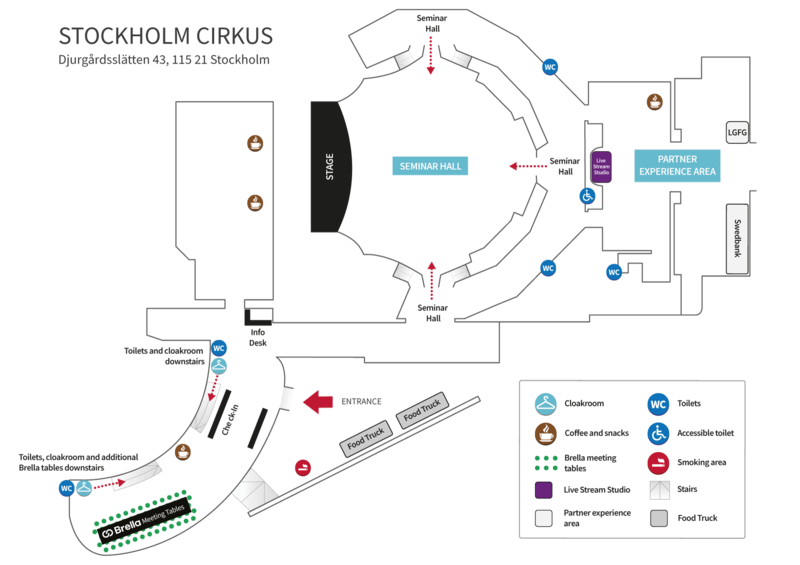 Nordic Business Forum Sweden will be held at Stockholm Cirkus, which is accessible through different modes of transport. If you arrive by train to Stockholm Central Station, you can, for example, take a bus or tram to the event venue. For current instructions to reach the venue use SL route planner. You can also take a taxi from Central Station to the venue. Recommended firms: Taxi Stockholm, Taxi Kurir, Top Cab, Taxi 020 or Uber. Arlanda Express train (20 minutes) to Stockholm Central Station. For current instructions on getting from Central Station to the venue, use SL route planner. Airport bus to Cityterminalen (40 minutes). For current instructions on getting from Cityterminalen to Cirkus, use SL route planner. Taxi (40 minutes), recommended firms: Taxi Stockholm, Taxi Kurir, Top Cab, Taxi 020 or Uber. Airport bus to Cityterminalen (20 minutes). For current instructions on getting from Cityterminalen to Cirkus, use SL route planner. Taxi (20 minutes), recommended firms: Taxi Stockholm, Taxi Kurir, Top Cab, Taxi 020 or Uber. Airport bus to Cityterminalen (80 min). For current instructions on getting from Cityterminalen to Cirkus, use SL route planner. Taxi (70 min), recommended firms: Taxi Stockholm, Taxi Kurir, Top Cab, Taxi 020 or Uber. Recommended firms: Taxi Stockholm, Taxi Kurir, Top Cab, Taxi 020 or Uber. A limited on-site parking service is available. Outside Cirkus Restaurant there is a parking area with about 20 spaces. There is also a parking garage with about 100 spaces under hotel Hasselbacken, which is located right next to the venue. National and international buses and airport buses arrive at Cityterminalen. You can get to the venue from Cityterminalen, for example, by bus and tram. For timely instructions to reach the venue use the SL route planner. You can also take a taxi from Cityterminalen to the venue. Recommended firms: Taxi Stockholm, Taxi Kurir, Top Cab, Taxi 020 or Uber. Cirkus is located approximately 3 km away from Stockholm Central Station. If you arrive at Stockholm Central station, it will take around 35-40 minutes to walk to the venue. From the station hall at Central Station take an exit to go to Klarabergsgatan. Walk along Klarabergsgatan until Sergels Torg and from the roundabout continue straight to Hamngatan. Walk straight until you pass Berzelii Park and then turn right to Strandvägen. Again walk along Strandvägen until you can turn right to Djurgårdsvägen. Walk about 400 meters and turn left to Hazeliusporten. Walk along Hazeliusporten until you reach Cirkus. Select your ticket category to find your agenda. Networking is a central part of the Nordic Business Forum experience. To help you meet your potential future partners and clients, as well as to help you strengthen your existing partner and customer relations, we use the event networking app Brella. Brella makes it easy to network with other event guests quickly and easily. You can create an account, browse through profiles, and request meetings! You can also access Brella through their website. 1. Follow our official event hashtag #NBFSweden. 2. Join the official NBFSweden Facebook event page. 3. You can also find us on Twitter, Facebook, Instagram, YouTube and LinkedIn. Head over to our frequently asked questions to find out everything that you need to know about attending Nordic Business Forum events. If you have any additional questions or concerns, our customer service is happy to help you! Contact us by email at info@nbforum.com, or give us a call at +46 8 446 811 61 / +47 21 99 94 72 / +358 20 775 1390.